I've been a long time lurker on these forums, but I do a fair bit of designing/building/flying of planes, and it has been a long term goal for me to embark on a project specifically for by fixed wing fans and put it up on these forums and become a contributor myself. 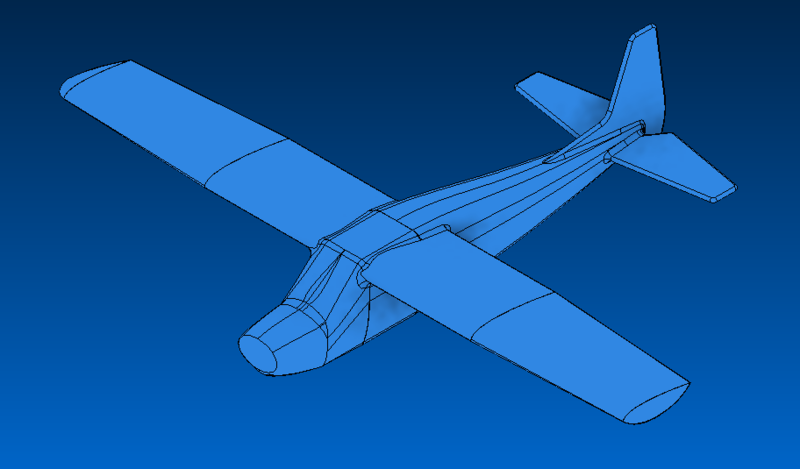 I've concocted the idea of a nice series of 3D printed planes, all of which would be open source, building up from a simple trainer all the way to long range FPV and aerobatics. This, I decided, will be the project (or series of) that gets posted to these forums. The first plane i'll be going for is the trainer; a simple easy to fly, easy to acquire, easy to repair entry level option for those who want to enter the hobby, but are daunted by the prices and complexity of some of the models out there. Ideally, this plane would be no more than 1200 mm in span and 800 mm in length; my metric for cost of the frame is based off the cost of a 1 KG role of PETG filament: ~$40 (AU), $25 (US). My goal for the all up materials cost of printing this aircraft would be about half of the aforementioned numbers; this leaves the electronics as the main cost when building one of these planes...as is the usual. Obviously this model is lacking in quite a few areas. This is just a 10 minute quick collection of my thoughts essentially; this aspect ratio, this chord, angle of incidence, span, sweep, and so on. The model will become much more refined, and will probably end up looking quite different to the one shown above, as it is changed to accommodate predicted loads or inadequacies in various areas of performance. I'm a big fan of FliteTest's foam models, and the simple storch gave me a lot of good memories and experience; it also sent me down the endless path of designing building my own foam models, needless to say the first few didn't work out too great, but I got the hang of it eventually. I've always enjoyed using CAD software, and so it was inevitable that my interest in that would permeate through to my interest in planes...indeed it did! I started out designing a few wooden models that I had laser cut; by this point my experience with making practical designs and sourcing parts was decent enough that these wooden models were fairly reliable and fun to fly. While designing these wooden models, I also started a few design projects that were only possible with 3D printing...they were fully fleshed out, servos, motors, control surfaces, all the goods, but they were shelved due to a lack of 3D printing capabilities. Recently though, I got a 3D printer...this has opened up quite a few of these projects again...its good to see them coming back to life . 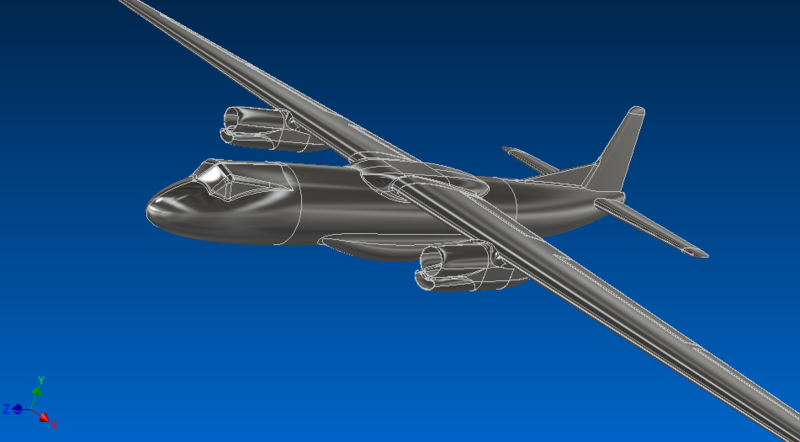 Among the designs coming back to life is a re-mastering of the above aircraft; redesigning it for 3D printing. Anywho - I'm hoping that all this will give you guys reason and confidence to follow the progress of these open source models...I would love to hear any advice or suggestions you guys have; hopefully this thread will keep you all interested for a good while! Whilst an 'own design' is entirely suitable for a trainer having gone to the trouble to design a high wing 'airliner' configuration it does seem to be wasting the extra ordinary accuracy of the 3D printing process not make it true scale or am I missing something? In regards to the airliner though...im guessing you're referring to the gray model? 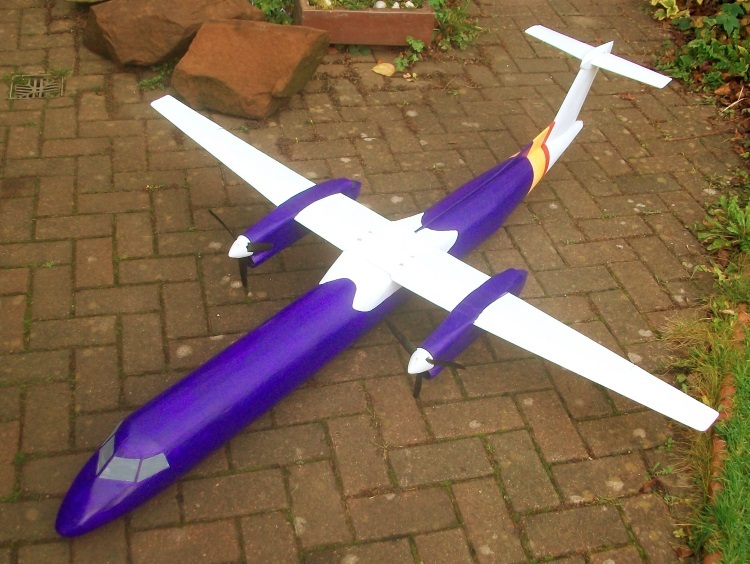 I would make it more of a scale model if it were just for joy flying, but thats not what it's designed for; it's a high endurance fpv plane meant to carry a camera payload...the design is well suited for carrying a large bulky payload internally and flying at high speeds for long durations. Whilst the design of your airliner might be suitable for what you suggest, although what works well in full size does not necessarily scale to model sizes, there is a big question as to whether 3D printing will give you the air frame strength to weight ratio than you are likely to need to achieve your objectives. It is very difficult to build an structurally efficient air frame at model sizes using just a single solid material which is what happens in 3D printing. The main attraction of 3D printing is to produce an exact replica from a simple 'touch of a button' so to speak but I don't think anybody has yet claimed the result is lighter or more robust than one built using more conventional materials and methods. In fact the opposite seems to be the case. 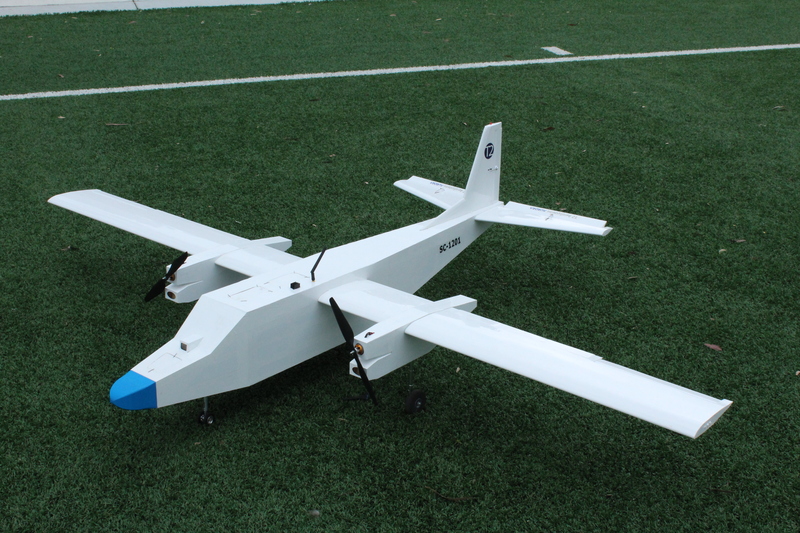 It is light and flies well but it uses a hollow foam structure with balsa reinforcing. No part is 3D printed. If I wanted to carry a big payload for a long time there are better air frame configurations. Nevertheless things are developing all the time. I will follow your progress with great interest.